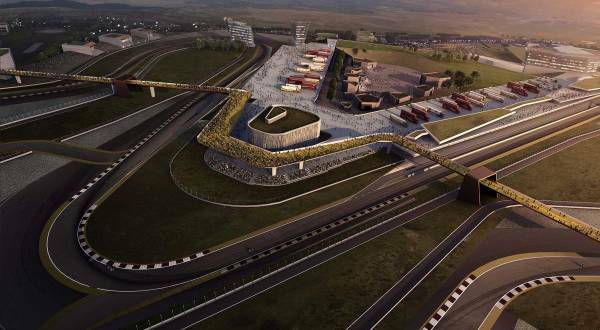 MADRID – who is also CEO of Dorna MotoGP boss Carmelo Ezpeleta, was impressed with the design of Circuit of Wales, which is planned to be completed by 2015. There is a discourse that allows that this circuit, a replacement will be fit for Silverstone. Circuit which will cost around 250 million pounds, it will not only extend MotoGP. Management will also be working to bring the circuit as well as a number of other event, such as the World Superbikes, World Motocross and World Touring Cars. Ezpeleta own hopes project located in Ebbw Vale would be completed on time, so that 2015 can be added to the agenda for the 2015 MotoGP Grand Prix United Kingdom. Considering the possibility that the greater cooperation with Silverstone, will expire in 2014. “If this circuit can pass the standardized test, hopefully we can soon bring MotoGP to here. Fantastic design. I think this circuit will be an important program for all MotoGP and motorsport event overall, “beber Ezpeleta, as excerpted Crash, Saturday (02/02/2013). “The design will also be a great benefit for the area and the people around here. I am sure, they will also help to many things needed for this program. We have also been cooperating with them and will continue to do. We are very pleased with this circuit program.